Even our own buildings require maintenance work so we erected a two boarded level scaffold working platform then shrink wrapped to ensure the recladding work goes to schedule. 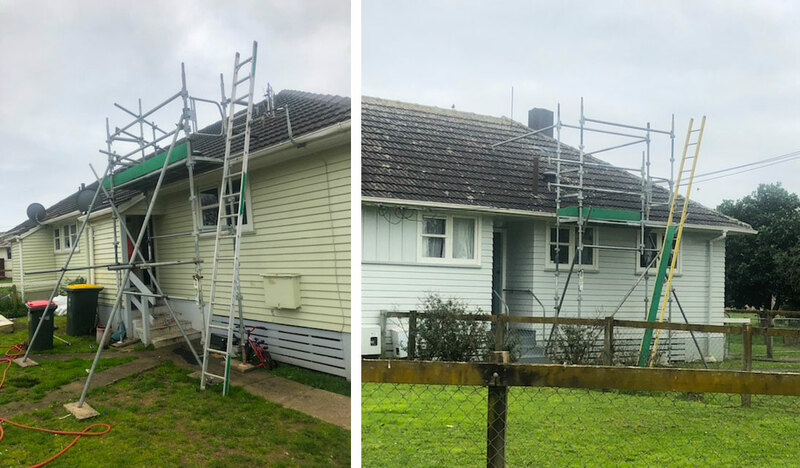 When the Green Bay/Blockhouse Bay and the Mangere scouts needed an assault course for their national jamboree activities, we were happy to donate our scaffolding services! 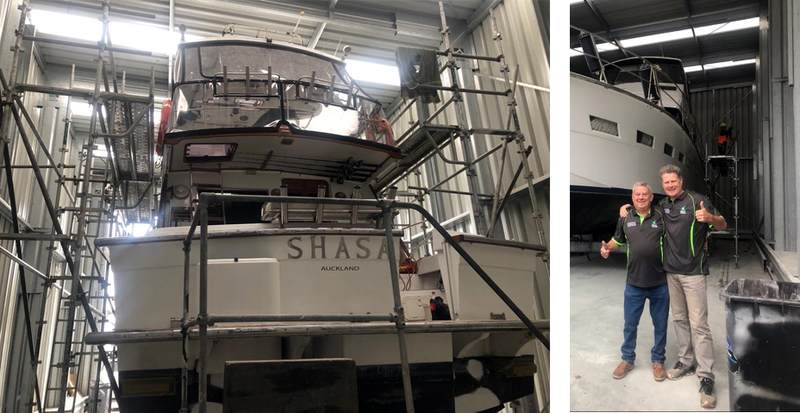 Barry Utting is another very happy customer with just having finished taking down the scaffolding around his boat "Shaza" at Half Moon Bay Marina. Our job to start the week with is an extension to the lounge area for this Maraetai property. We have installed structural supporting scaffolding with shrink wrap to keep everything watertight and secure. 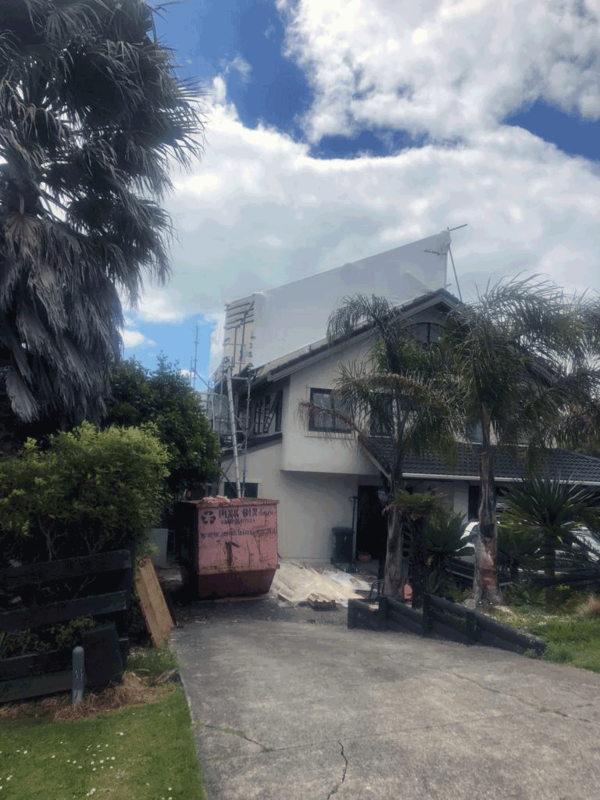 We have back on the Housing NZ sites again this time building a small scaffold access tower with a ladder access to replace rotten spouting. Safe, secure and easy with Kwik Stage aluminium scaffolding and using tube and clip for the raker supports.